For Shopify, WooCommerce and Etsy the process is the same. 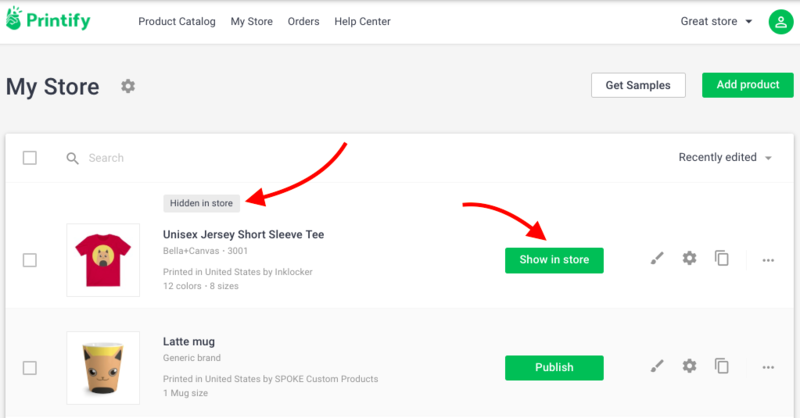 In order to un-publish a product from your store, simply visit “My Store” section in Printify and open the “Product Details” of the product you wish to hide. When scrolling down below to the “Store Details” section you will find an option to “Make the product invisible on your online store”. Once these steps are done, you will see “Hidden in store” notification. To re-publish the product, simply press on the “Show in Store” button next to the product.